The new Permanent Exhibition of the Tragor Ignác Museum opens its doors to the public on the 16th of July 2015. The Ars Memorandi – Gates to the Past exhibition awaits its visitors on the Main Square (March 15 Square nr. 19). The entrance can be found in the gateway. 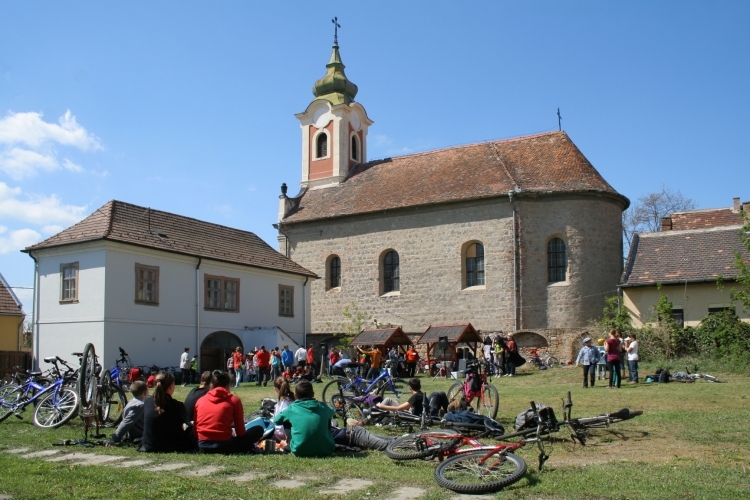 During the renovation process of the Dominican Church in Vác a priceless treasure of cultural history came to daylight in 1994 when construction workers stumbled upon the entrance, walled up 150 years ago, to a stairway leading to the crypt under the church. In the crypt there were 262 colourful, ornate coffins, mostly in good condition, with the spontaneously mummified bodies of citizens of Vác, who died in the period from the second half of the 18th to the beginning of the 19th century. Gyula Hincz (1904-1986) was a highly acclaimed and incredibly productive figure of the 20th century modern Hungarian art. István Gádor (1891-1984) award-winning ceramist, designer is recognized as the founder of the modern Hungarian ceramics, one of the most important masters of the field next to Margit Kovács and Géza Gorka. The Pannonia House hosts two different cast iron collections at the moment. A Tragor Ignác Múzeum honlapja • Grafikai tervezés: Arcus Stúdió • Webfejlesztés: DunaWeb Kft. A weblap Várady Róbert: Cyber térben (2008) című festménye felhasználásával készült.